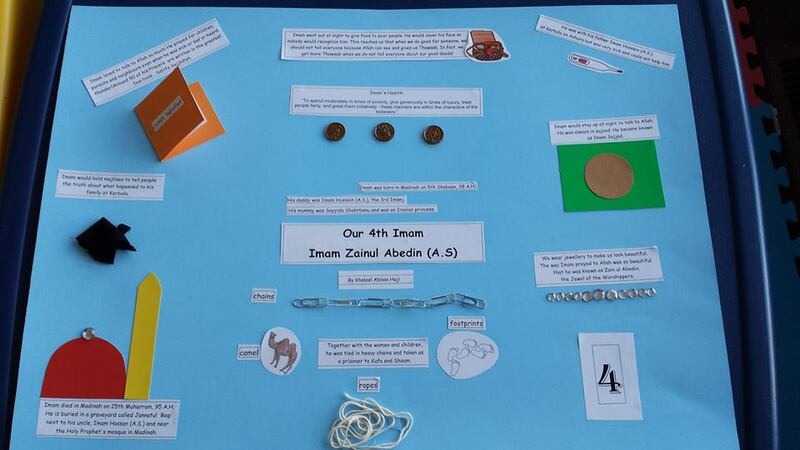 - To gain a brief overview of the life of our 4th Imam through visual aids. 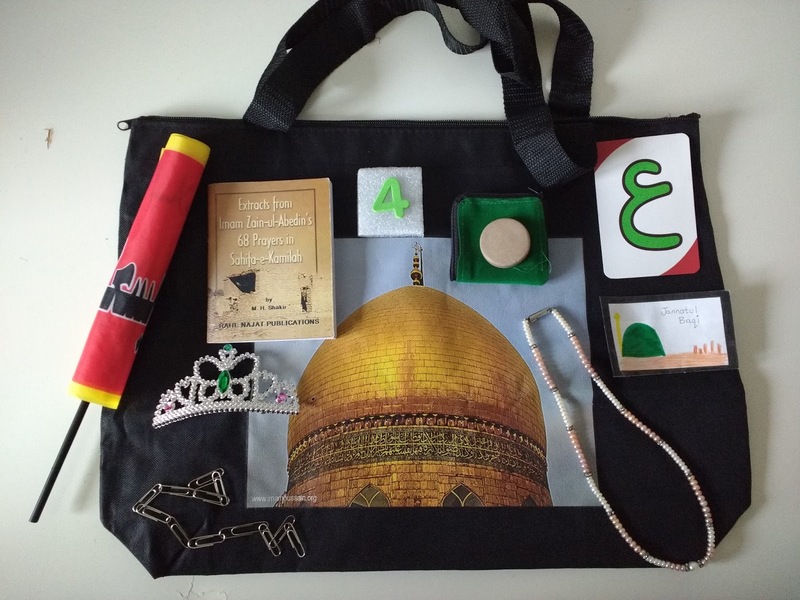 Place all the objects into a bag and have the children pick out an item in turn. 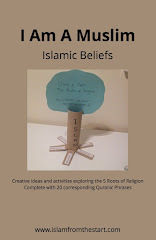 Repeat the activity a second time but have each child 'show and tell' to the class about what the object signifies. 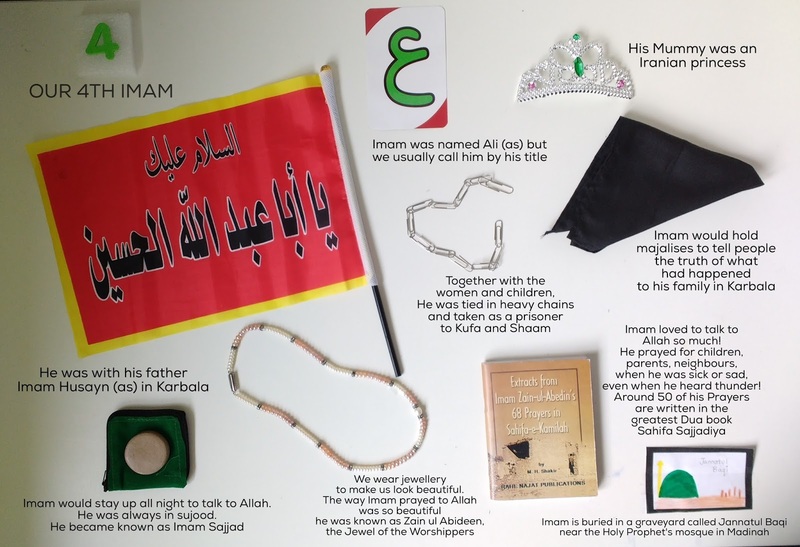 Older children can use the props to write their own short biography/poem about the Imam.